To become the lifetime supplier of wireless communication systems for our customers. And how do we plan on doing this? By putting service before sales. When we tackle your radio problems, the first thing we do is to put ourselves in your position. We ask ourselves, "If I were this customer and had all the years of experience that Grover Communications possesses, what would we do"? 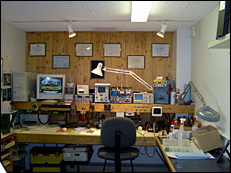 This strategy provides our customers with the most reliable, cost efficient and highest quality solution possible. This process continues to serve Grover Communications well. After over 20 years in business we still retain nearly all of our original customers from 1982. We think they realize the value they get for Grover Communications commitment to their radio communications needs. 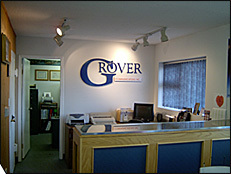 With many of our customers, Grover Communications takes on the "ownership" of all their radio concerns. Whether it's a simple repair or a complete system upgrade. All that is required is a phone call and the problem goes away. This leaves our customers free to attend to all the other business matters that concerns them. In short, your radio problem becomes Grover Communications responsibility.